We work to fulfill our necessities and requirement and when we accomplished that goal we work to live a comfortable life. The job we do stays with most of our life and shape our personality as according to the work we do. Our jobs or occupation have a great impact on our whole life that means when someone wants to start working as professional, they need to choose their career according to their need, interest and feasibility of the job they are going to do. Many people choose to do their own business but being your own boss comes with great responsibilities. There are factors to be considered while thinking about choosing your career, whether you want to work as an employee or as your own boss. When you start working for someone you are responsible only for the job your organization pays you for but when you chose to be your own boss things change completely. Therefore, while considering this second option of owning their own business or company, a person need to have an idea how to proceed with that particular business idea, only if he is completely sure of the work field then take the risk of executing your business idea. Being your own boss is a risk which people take in terms of starting a business. Starting your own business is a huge responsibility and it is not that easy to start your own business. Owning a business has its own pros and cons and it is not that easy to understand all the concept of being there like the boss. In other words, when a person starts his business, then he definitely thinks of the field of work which is comfortable and beneficial for him because you cannot change your business like you do with your job. It is one of the jobs where a person doesn’t need any sort of higher degree or qualification to start the business. Real estate business has many benefits like flexibility in working hours, no predefined qualifications and has a good income but it is not that easy as it seems. Real estate business has a high risk of fraud, cheating and if you don’t possess any experience or knowledge you may face difficulties in getting a right client. A person needs to be a good communicator so that he/she can easily communicate with the potential buyer and supplier; also he/she must be updated to the recent property, demands, and mood of the market. Real estate business totally depends on its owner, the way you handle your business decide the future and income of your venture. You can work as real estate manager, broker or agent whatever suits you best. Before starting real estate business or entering in this field get the proper knowledge of legal issues, rules, and regulations that come with property dealing. Farmers are very important for our survival because they fulfill our one of the basic need which is food. If you want to own your own business farming is a great option, farming doesn’t need any sort of degree or qualifications. Therefore, it is not necessary that the farmers need to hold on to some sort of professional degree to continue working in the farming land. Mostly it happens that people own the land of their ancestors and this work has been transferred to them by family tree and has prior knowledge of how to do farming. If you like to work as a farmer you can rent the farming land and can start your own business. Farming business needs a great knowledge of all the equipment use in farming, seed, cropping, and methods use for the different session. You can get the knowledge from the programs especially run for the farmers where they provide information about latest technique and profitable methods. Masonry is one of the work processes, where an owner is involved in the work of crafting stones or building bricks for the purpose of construction. If you have working knowledge then you can handle the business well. The most important part of this work is that they build marbles and other parts of stones for the purpose of building houses or to use in other constructions. This job requires long working out, yes you have flexibility in working hours but you do work for long period of time. This business needs practical knowledge as well as interest then only you can earn a profit in this business. Like any other business, this business also has it pros and cons. These lodging jobs are one of the jobs where a person needs to own a lodge and handle all sorts of activities involves in lodging process. You can work as lodging manager for others as well if you like the work and passionate about this kind of working. It is easy for those people who always were in this lodging work field because they are well familiar with the in and out of lodging work. Additionally, the lodging managers’ earnings are more than people who own a regular kind of job. And the educational background required for such type of work is that they must hold a degree or minimal level of education to handle lodging business. If you love food and have a passion for cooking then food service is the job for you. People who are more interested in cooking and foods can always choose a profession called being a chef, working in a restaurant or owning a restaurant. It is easier to handle the work of a chef if you know how to cook a delicious meal and how to serve it. Food service managers are one of the respected people when it comes to the work because every human being loves tasty food. You can start the business with or without qualifications if you know and love how to cook. Food service business is only for those who love food and creativity. If you cannot love the process of cooking then do not enter into this business. Painting business is just like cooking but it is way easier than cooking. If you like colors and the magic, these colors can do then this is the perfect business venture for you. Flexible schedule and work as per choice are the benefits of the painting job. Being painters is the part of Masonry work where people paint building a block of different kind and size. Earning of a painter is good enough to compete with any regular job. If you like and understand this work then you can start your own painting business. Painters also have the advantage of not losing their job ever, if you work with passion you can work your whole life because people going to need painters to color their home. People who undergo some sort of masonry knowledge can handle this type of work. You can choose any area of your expertise if you know constructional labor. There are different areas in the construction business that need expertise and independent work like a plumber. 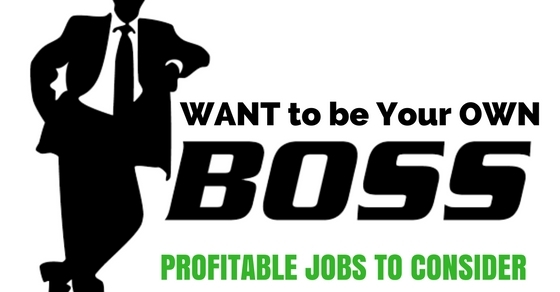 If you want to work on your own and don’t want to work like a regular employee then you can choose this business. You have more chances of survival than any normal job person if you know your work well. Constructional labor doesn’t need a professional degree but you must know the machine’s operation and how to operate them. A person who has knowledge of fixing or creating stuff with the help of machines, then it is easy for him to start a business of his own without anyone’s help. Similarly, a carpenter can create that sort of atmosphere easily and quickly. Therefore, people who are in the field of carpentry can survive their way out, even if they are out of money because customers keep expecting carpenters to fix their broken pieces of their house and other wooden things and that makes them busy throughout the year. To start your work as a carpenter you just need to know the machines function and how all this work and you are good to go. ‘Artists ‘they are just different kind of people with a passion for creativity and these kinds of people hardly settle in regular jobs. If you have a passion for any kind of art and you love creativity than the boring office job, you can work as an independent artist. Being an artist has its own pros and cons like you get to do what you love but the chances of success are 50% and totally depend on the quality of your art. The artist is born not created and if you have that bone then go for it. Artists don’t need explanations, your art speaks for you but you need to be great with your art otherwise you will face the problem of survival. It is easy to leave your boring office job and start working independently with being your own boss but has its own drawbacks which are more dangerous than any boring job you do in your office. You must know your work to the level, that if people choose your work only then you can survive in the market because there is so much competition. 1. The value of time is the first rule of being your own boss because we humans are very lazy especially when we don’t have someone to monitor us. 3. Expertise is what makes you in demand otherwise no one will ask for your services, so know your work and be the expert in your field. 4. Money management is another important factor in owning your own business because when you get salary monthly, you plan your month accordingly but being on your own you must know how to manage cash flow. 1. Laziness is your biggest enemy when it comes to being on your own because now you are responsible for all of the things and your laziness can cost you your career. 2. Poor services may stop people from using your service, so provide best services to your customers. 3. Do not compromise with your work ethics and values because they are most important for your business. 4. Do not give up because every business takes the time to flourish and you need to have patience. Finally, the bottom line is that to be your own boss a person need to own a certain level of knowledge about one of the work field mentioned above as well as possess great passion for the work. You can acquire knowledge about one of the fields mentioned above with the help of different sources; also you can follow successful people of these fields. Work hard with a determination only then you can think of being your own boss without any second thoughts. Moreover, this discussion about the different available work field can definitely provide better understanding regarding the ingredients required to be on your own boss. Always remember it is easy to work from 9-5 without having many headaches about all the details a business have but, to start your own business you should be prepared for the hardship and have great patience because any kind of business take time before it becomes profitable. Keep your mind clear and get proper knowledge before you set to be your own boss.